Applicants must be undergraduate students at an accredited university in an ASEAN country except Thailand. All ASEAN students studying in Thailand are ineligible to apply. Complete application form (official website). Statement of purpose attached with the application form. Official transcript with latest GPAX. One 1-inch photograph (face shot with no hat, sunglasses, or computer editing). Two letters of recommendation from lecturers or advisors. 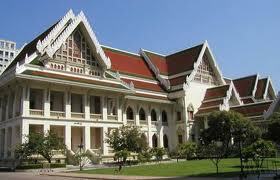 The tuition fee of 1 semester worth 83,000 baht will also be provided. The grant will cover only the first semester of 2013 (August to December 2013). * Combined total of numbers one and two is equivalent to 133,000 baht. The final decision for admission will be determined by the by Program’s Administrative Board. Each scholarship recipient can select subjects from the program schedule at official website. Please note that some courses might not be offered in the semester you plan to attend. A program officer will help with the registration after your arrival. The end of July 2013: Orientation and meet the advisor. Campus tour, buy Uniforms, Taking photo for student cards. August 13th , 2013: Term Commences. Here are the four successful scholarship candidates in 2011 and their courses. Here are the courses she took. RMIT International University Vietnam, Vietnam. Demikianlah informasi mengenai Student Exchange Scholarships for ASEAN Students, Chulalongkorn University, Thailand semoga berguna bagi anda.